Come out and celebrate Canada Day with us! 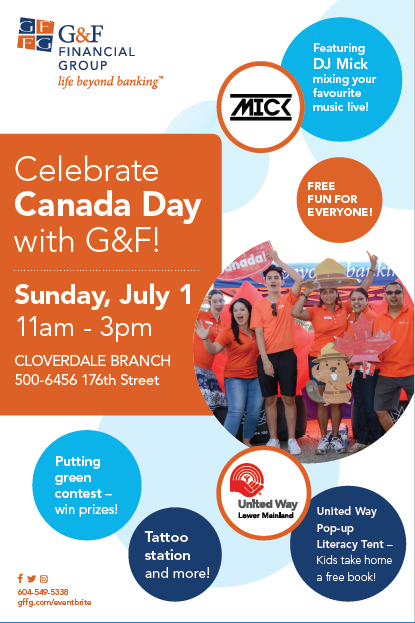 The Cloverdale Branch along with partner branches in Surrey are hosting Canada Day celebrations at the Cloverdale Branch. Come out and join the fun or volunteer and celebrate alongside thousands of others! Bring the whole family along and enjoy all of the different stations, music, treats and more! You may even win a prize! Check out our flyer for more info! Supporting local communities has always been an important part of our business philosophy, our passion lies in educating and empowering others to achieve their financial goals. If you have any questions about your financial needs, find one of our lovely reps and have a chat! 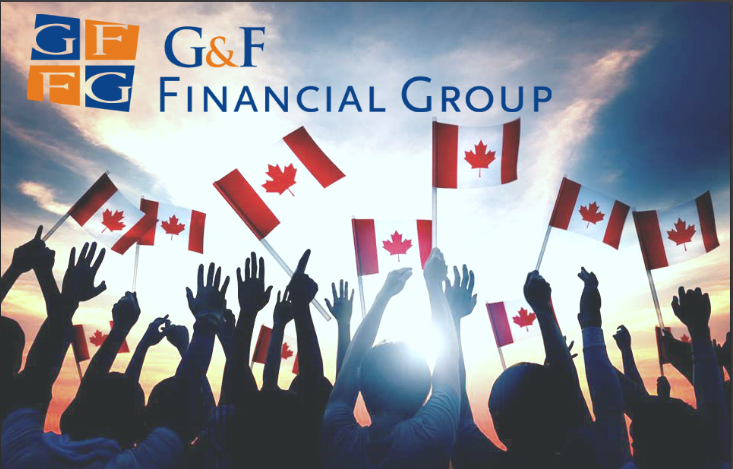 Join us at our Cloverdale Branch from 11:00AM – 3:00PM to celebrate Canada Day alongside thousands in the community. Our celebration features DJ Mick mixing your favourite music live, a putting green contenst, a tattoo station and more!